Web Analytics is not only a tool for measuring website traffic, but, it can also help you in business research and hence, forming a market plan. You get insights about users’ behavior when they are interacting with your website which can aid you in improving the conversion rate. The visitors may be expecting something quite different from your website than you had thought of. They need not necessarily act in a way that you thought they would. 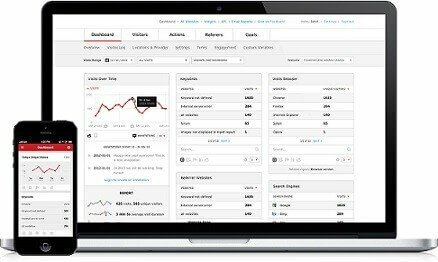 To understand the key performance indicators (KPI) of a site, one has to analyze website metrics like bounce rate, abandoned sales, exit pages, conversion rate, page views, unique visitors, low quality traffic, etc. You need not be overwhelmed with the number of analytics that you have. Instead, you can pair down these metrics in accordance to the number of manageable KPIs at a time. This will help you understand how exactly your website is reacting to the user’s engagement. In order to address the specific requirements of your online business through continual evaluation and optimization, you can take the help of Ginger Domain expertise in customized web analytics solutions. Based on market trends and metrics, we aid our customers in creating, testing, evolving and refining their online presence. Our client centric approach involves tracking key performance indicators such as cost per acquisition (CPA) and number of acquisitions from each online marketing campaign. With this information our Web Analytics experts can work in a way that will maximize our clients’ ROI. We offer a complete range of digital multimedia, web development and web usability engineering capabilities. With our help, you can optimize your marketing initiatives by taking immediate action in accordance to the analytics and insights offered by us. Use of online marketing tools like adverts, affiliation, emails campaigns, social networks etc. for generating more traffic. Based on clear decisions, develop an effective online strategy. Monitor online marketing investments to increase ROI. Help your sales target by boosting sales turnover. Have complete control of your data by the means of an intuitive and powerful tool. On-demand professional services from which you can benefit from, by becoming proficient in the usage of our solution. Improve reactivity because of real time monitoring of Key Performance Indicators (KPIs).